In the United Kingdom, the Government is a Conservative one and the leading opposition is Labour. The disagreements between these two main political parties have historically translated into the ridiculing of one another. Nota bene: this is a typically British technique. We have always preferred portraying the opponents as idiots rather than demonising them. We think it’s more effective, because we know the public likes a good laugh and will come to us for more banter. The British also have a very refined hatred for stupidity and couldn’t be more easily convinced that one party shouldn’t be followed than by seeing it as one with great oafs. We’ve used this technique many times. We’ve done this with Hitler. 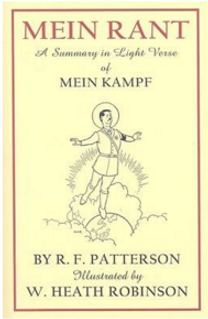 Rather than showing how horrible a man he was, making a film about his persecuting the Jews or indeed anyone non-Aryan, we wrote a very entertaining parody of Mein Kampf which was entitled Mein Rant and portrayed Hitler as nothing more than a blithering idiot. All the more convincing. No one wanted the embarrassment of being associated to the ideas held by such a knob. The same goes for politics today, but I must say the Tories are far better at ridiculing Labour than the other way round. This is probably because it’s so much easier to ridicule someone like Jeremy Corbyn, the most recently elected Labour leader, than someone like David Cameron, Tory Prime Minister. Dave is an Oxford graduate and has been clever enough not to send our army to Syria. He has supported hard working people. He has encouraged trade with China. Recently he went to see the refugees and help them out himself. He has revised the state school system and stopped the dumbing down on education (everyone seemed to be achieving a miraculous 4 A stars under Gordon Brown’s party). Corbyn flunked his A levels and didn’t go to University. He failed to sing the national anthem at a remembrance service. He said the death of Osama Ben Laden was a “tragedy” (in my memory it was the best day ever). He snubbed the Queen by refusing to be sworn into the Privy Council. 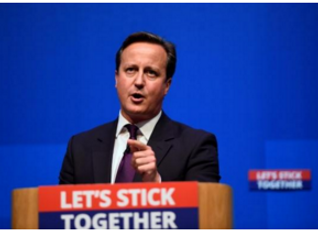 After the Paris attacks, he said he was “Not happy with a policy of shoot-to-kill if terrorists attacked the UK”. I’m not sure he would say the same once actually confronted to one of these madmen. It’s very easy for the Tories to criticise Corbyn. And it’s no surprise that the left wingers also criticise him, as he really doesn’t do justice to their “traditionally intellectual” party. 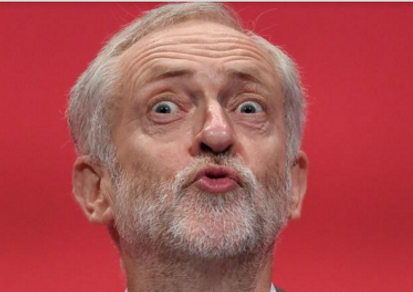 “Jeremy Corbyn’s pacifist views could disqualify him from becoming PM because he cannot keep Britain safe,” said Chuka Umunna, a senior MP within the Labour Party. However, right wingers also criticise one another. This week, Boris Johnson condemned David Cameron for his decision to cut down on police staff, given that the probability of a terrorist attack on London, following those in Paris, is unsettlingly high.